Join Mark Shuey, Sr. for an exciting and effective exercise workout using the cane. You will learn stretching, balancing, isometric and resistance band exercises using the cane that are designed to improve your strength, flexibility and overall fitness. 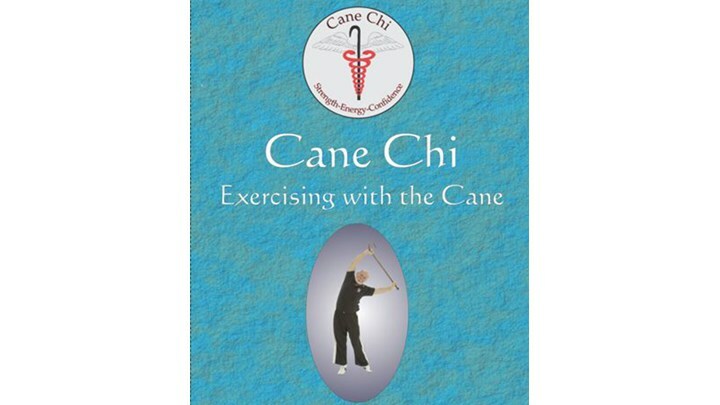 Join Mark Shuey Sr. for an exciting and effective exercise workout using the cane. In this 46-minute video you will learn stretching, balancing, isometric and resistance band exercises using the cane that are designed to improve your strength, flexibility and overall fitness. Before engaging in any exercise program be sure to consult your health professional as to your physical fitness level and ability to perform the techniques and skills required in this video. Cane Masters, Rocket III Video Productions or any other person or company associated with this production cannot be held liable for injuries as a result of participating in the exercises shown in this video. The material in this video is based solely on the physical fitness aspects of using the cane either with or without a resistance band. You will see not only the proper technique of performing each exercise, but also a graphic representation of that portion of the body being stressed. We have had many doctors, chiropractors, and physical therapists report that they have patients who have benefited greatly from this program. SESSION-Using resistance bands with and without the cane for physical fitness. With a Cane Masters cane and resistance bands, you have a complete gym that you can take anywhere! In this Session, GM Shuey will show how versatile the Cane Chi Exercise System is by demonstrating a wide variety of exercises performed with and without the cane.